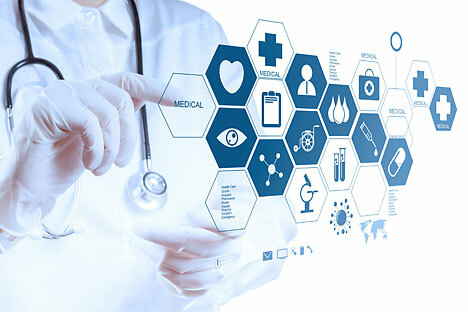 Digital health – a new market uniting the capabilities of IT and medicine – is becoming one of the most promising areas for startups. RIR looks at out how the leaders and rising stars of digital health in Russia are making their money. A promising new market that unites the capabilities of IT and medicine is emerging for startups – digital health. According to estimates by experts, U.S. companies operating in this sector had raised almost $2 billion in venture capital investment by the end of 2013. However, the progress of Russian startups in digital health looks modest in light of the Americans’ achievements in the sector so far. “Medical projects require the long and stable operation of companies and investors. However, the investment climate in Russia is far from satisfactory. In my view, the U.S. was and remains in the leading position,” explains Ilya Pavlov, a venture partner of Bright Capital Fund. However, interesting projects are still to be found. Bright Capital Fund has invested twice ($1 million in the summer of 2012 and $3 million in the spring of 2014) in the Doctor at Work project. Its co-founder and CEO Stanislav Sazhin says that he and his partner have created a “Facebook for physicians,” a social network that today incorporates more than 200,000 specialists in Russia and other former Soviet republics. “During the registration, we check all candidates, their graduation credentials or call their employers,” Sazhin says. The Doctor at Work project earns money from the advertising of medicines. According to Sazhin, their startup has signed agreements with 13 of the world's largest 20 pharmaceutical companies. In 2013, the social network earned $1.5 million in proceeds and had a net profit of $0.5 million. Medesk, a cloud service of health records and the Russian equivalent of Practice Fusion, the largest U.S. platform offering this service, brought in as little as $0.3 million in revenue, according to its 2013 results. Medesk earns money by selling its service to clinics. At present, this service is used by about 1,000 doctors in 25 clinics, serving approximately 100,000 patients. The founders of the project intend to bring its proceeds to $0.9 million by the end of 2014. NormaSahar (NormaSugar), the automated online system to monitor the conditions of diabetic patients, has raised about $1 million in investment, but is developing slowly so far. In an interview with business magazine Sekret Firmy, NormaSahar CEO Alexander Podgrebelny admitted that the service presently has only 7,500 registered users and 44 endocrinologists giving online consultations. In order to succeed in the field of digital health in Russia, you have to occupy profitable niches and wait. “These days, the prize for a successful start in the U.S. is much higher than anywhere else, but competition is also higher there. In Russia, there is a chance to launch a lot of things, because there are just a few competitors,” Sazhin says. In the opinion of Arkady Moreinis, a NormaSahar investor, digital health startups in the world and in Russia need more time to develop themselves, compared with startups in other fields. “Their development can be described by an ‘ice hockey stick’ graph,” Moreinis explains. “First the line moves upwards very slowly, but then it passes the bend, and after that it skyrockets. This take-off has already taken place in the U.S., but it hasn’t taken place yet in Russia. However, as soon as in a few years, medical startups will become popular and will start to make good money," he says. VitaPortal is a medical resource that provides access to information on medicine and pharmaceutics for a wide audience. All materials are checked by medical doctors before publication. VitaPortal was launched in May 2011 under the auspices of the investment company Fast Lane Ventures. Initial investment into the company totaled ​​over $1 million, and the services are monetized through advertising and sponsor support from manufacturers of medicines and health products. Life Button, a medical alarm system, helps seniors and people with disabilities to call emergency care. There are two packages on offer: The first consists of a phone with an SOS button that determines its location using GPS and is connected to a round-the-clock call-center with medical doctors as operators; the second offers a special bracelet with the same button, a fall sensor and a loud-speaker communications system. The project has managed to raise $1 million, and phones with Life Button are sold now throughout almost the whole of Russia. Med-Room.com, a project from Novosibirsk, copies the business model of two successful international analogues: an electronic reception office and a service for comparison of medical services. A test version of the website offers the possibility of finding the nearest private clinic or doctor, of comparing the cost of services and of making an appointment at a convenient time. The company operates solely in the sphere of private medicine: Sixty percent of participating institutions are dental clinics and 15 percent are multidisciplinary institutions. The professional medical web portal Mir Vracha (The World of the Physician) is similar to a social network for physicians. However, unlike ordinary social networks, the project adds some tools for medical specialists: interactive medical calculators, data on clinical trials, a database of medicines and clinical guidelines. This startup operates in collaboration with the Japanese company M3, Inc.